On the seventh day of the Winter Olympics in Pyeongchang, Great Britain have won their first medal of the Games with Dom Parsons winning a bronze in the skeleton. At the halfway stage yesterday, Dom found himself in fourth position, within touching distance of a medal finding himself just 0.03 seconds behind Latvia’s Martins Dukurs. The final run of the event was extremely action packed with Dukurs making an error giving Dom the opportunity to capitalise. Finishing 0.11 seconds ahead of the Latvian with a combined time of 22.20 seconds. The gold medal went to South Korea’s Yun Sung-bin with Olympic Athlete from Russia star Nikita Tregubov taking silver. Dom’s fellow Brit Jerry Rice finished in the top ten of the event. Parsons becomes the first British male to win a skeleton medal since John Crammond in 1948 and Team GB will be hoping this won’t be the only medal the country take home in this event. 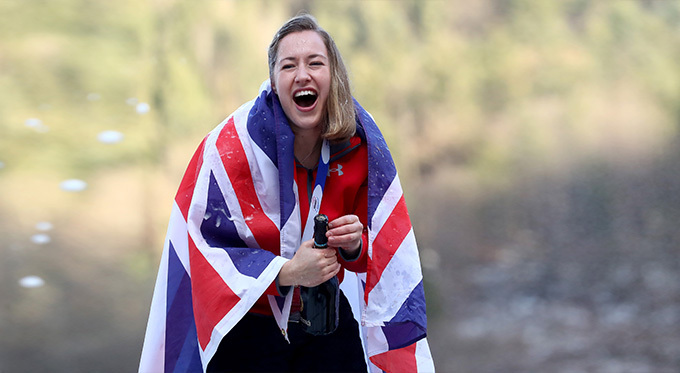 Defending champion Lizzy Yarnold MBE is vying to become the first woman ever to defend her Olympic title after taking gold in Sochi in 2014. She will start her skeleton campaign later today. Dom Parsons may be a relatively new name to Winter Olympic fans, but he has been involved in skeleton for many years. Originally a 400m runner, he switched to skeleton in 2008 and finished in the top ten in the event at Sochi 2014. Prior to the Games in Pyeongchang, Dom finished fourth at the World Cup in St Moritz and looks set to be a big name in the sport for years to come. Of all of the athletes at the Games, Dom perhaps has a better understanding of the sport than anyone else due to the fact he also makes them. Studying for a PhD in engineering at the University of Bath, he has helped design equipment used by athletes all over the world. As the Games progress, there are still plenty of opportunities for British athletes to win medals and make sure you keep your eyes on Champions Olympic Speakers for all the latest updates. For more information call us on 01509 85 29 27 or complete the online form.